Father of two Joe Clarke, is about seventy-eight per cent sure he's just had an affair. After all that is the hopelessly attractive office intern in bed next to him, isn't it? But then again if he did have an affair why can't he remember anything at all about the night in question? Mortified by his mistake, Joe vows to be a better man. But when his adored wife Penny puts two and two together and leaves him, things start to take a turn for the decidedly strange. SEEING OTHER PEOPLE is a hilarious and bittersweet novel about love, parenthood and fidelity, and how easy it is to get lost on the way to your own happy ending. The author creates strong, vivid characters that you can't help but like and as such you root for a happy ending for them. I thoroughly enjoyed the fact that the lead character was a male, I found this honest and refreshing. I found nothing in the way this story was written, contrived Unfortunately we don't live in a perfect world and as such we can all make mistakes. Some of them bigger than others and some having an awful ripple affect on our future and can hurt the ones close to us. Still that being said I found myself liking Joe, someone who seemed to me to take things for granted when it counted but at the end of the day, he was like an old friend who you wanted the best for. I thought I would find the elements about Joe seeing the Ghost of his ex-girlfriend plainly ridiculous, but in all honesty it really, really worked. This was the kind of book that you delve into and immerse yourself in, like your favourite jumper. It is the sort of book that will make you feel warm and cosy on a cold, damp day. It makes you feel that after all things can be put right if we try hard enough. I will most certainly will be reading the backlog of Mike Gayle, I will feel genuinely that I have missed out if I do not do so. Very highly rated and enjoyed very much by me. Mike Gayle is the author of nine previous bestselling novels. He was previously an Agony Uncle and is also a freelance journalist, who has written for a number of magazines. He is based in Birmingham. 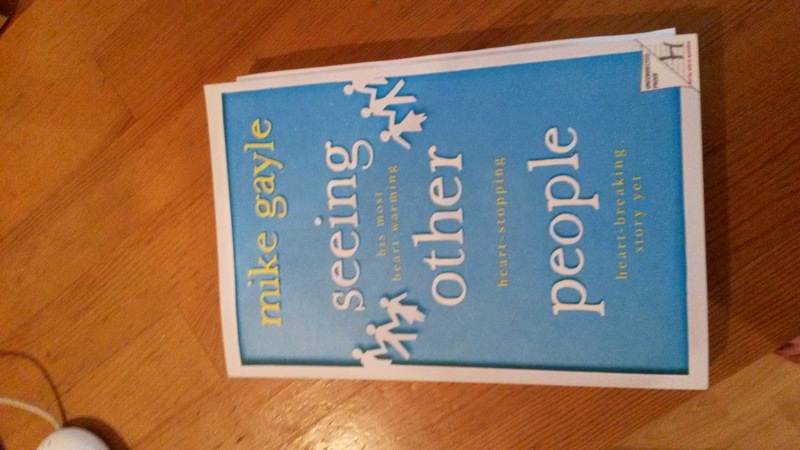 My thanks to Hodder & Stoughton and Bookbridgr, for sending me the copy to review. 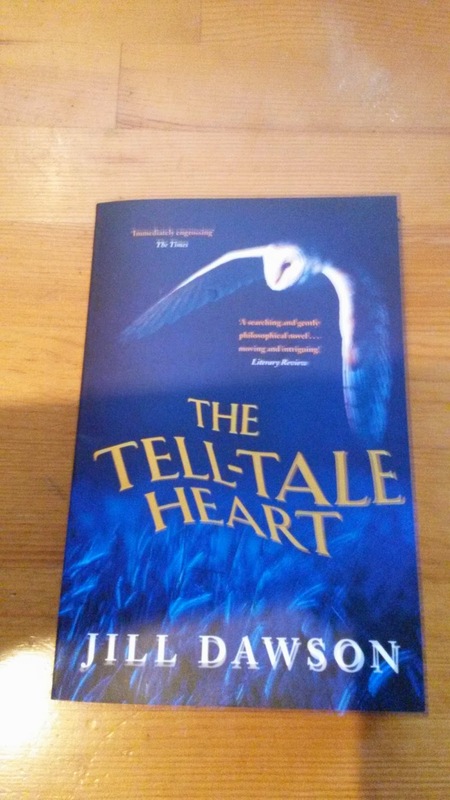 When a teenager dies in an accident in rural Cambridgeshire, it affords Patrick, a fifty-year-old professor, drinker and womaniser, the chance of a life-saving heart transplant. But as Patrick recovers, he has the odd feeling that his old life 'won't have him'. He becomes bewitched by the story of his heart, ever more curious about the boy who donated it, his ancestors, the Fenland he grew up in. What exactly has Patrick been given? This was a quick read at 242 pages and I found it thoroughly interesting. It tells the tale from several different points of view. Firstly from that of Patrick who is the recipient of a donor heart. At the moment it would seem that he is wasting his life and hurting those around him and being generally selfish. Secondly we hear the views of Andrew, whom everybody calls Drew. He is sixteen and it is his heart that Patrick receives. There is also a section that beautifully depicts the landscape of the Fens and the stories of Drew's ancestors and the riots that took place. This book gives the reader an interesting take on the theory that the heart holds our feelings and therefore when Patrick receives his new heart, we do begin to question if he does start to feel differently or may even want to mend the error of his ways. Can he rebuild the relationships to those closest to him? My only criticism would be that I personally would have liked to have known more about the Characters individually, and if the book had been longer then maybe this could have happened. All in all a very individual novel, I liked it. Jill Dawson was born in Durham and grew up in Yorkshire. She has held many fellowships and in 2006 received an honorary Doctorate. She lives in the Fens with her husband and two sons. She is the author of eight novels including, Trick of The Light. She has also published short stories and poetry.